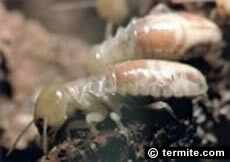 HOME-OWNERS in the NORTHERN BEACHES Sydney region, who find signs of termite activity inside their home have several options for professional protection from continued termite infestation and timber damage in the building. FUMAPEST has been providing professional termite control services in the NORTHERN BEACHES Sydney region for more than 50 years, with a very high success rate for complete termite protection. Same Family Business Since 1964 • FUMAPEST is a second generation family business. After more than 50 years of providing pest control in the NORTHERN BEACHES Sydney region, we have a valuable reputation in the marketplace and have acquired a wealth of knowledge and experience, unmatched by our competitors. Commercial Food Handling Premises • FUMAPEST is Warringah Council Food Act & HACCP compliant • commercial food handling premises • restaurants • cafes • hotels • motels • hospitals • child care centres • nursing homes • retirement villages • churches • schools • colleges• universities • race-horse stables • veterinary clinics and other sensitive environments. Setting the Standard in an industry many fly-by-night operators, FUMAPEST Pest Control stands out as a well established pest control business with an excellent reputation in the market-place in the NORTHERN BEACHES Sydney region.